Sciatica is very painful medical condition in which the patient experiences extreme pain and tingling sensations in his back, hip, legs and thighs. The pain is caused as a result of pressure exerted on the nerves, either due to any inflammation in the vertebra or the narrowing of the spinal canal. Piriformis syndrome, lumber spinal stenosis and spinal disc herniation are common causes of sciatica pain in individuals. Chiropractic treatment is highly effective for relieving the patients of the painful condition. Why Is Prompt Identification And Treatment Important? It is very important for patients to recognize the symptoms and seek professional medical assistance for their sciatica condition. The doctor takes prompt prescribed tests to identify the cause of the sciatica pain in order to focus his attention on the specific treatment required for the condition. If a patient does not seek medical assistance for his sciatica problem, it may result in exaggerating his condition with the period of time. A number of possible problems can arise for the patient besides the continuous pain in the back and the hip region. Patients who do not seek prompt medical help for their sciatica run a high risk of suffering from permanent nerve damage. In case of a permanent damage to the sciatica nerve, the patient will experience excruciating pain in the back and legs, which will not be alleviated to a satisfactory level, even with the use of pain relieving medication. The different treatment methods like water and physical therapy become extremely painful for the patient because of his severe nerve damage. The patient experiences a loss of feeling in the affected limb, which in some cases also leads to difficulty in movement, and ultimately paralysis. The affected leg becomes devoid of all sensation and movement, hampering the patient already troubled with the excruciating pain. Patients who do not get medical treatment for their sciatica problem can experience a loss of control in their bladder and bowels. This adds to the problems already faced by the patient while dealing with his sciatica condition. A pressurized sciatica nerve causes severe pain, tingling and numbing sensations in the legs and thighs, and cramps along with fever. Patients should seek prompt medical assistance for the correct identification and treatment of sciatica before the condition becomes incurable. Chiropractic treatment is considered as very effective for the treatment of sciatica pain in individuals. Sciatica – What is it? According to chiropractic practices, Sciatica is a common type of pain that affects the sciatic nerve which is a large nerve that extends from an individual’s lower back down the back of each leg. The sciatic nerve also happens to be the largest single nerve in the human body. It is composed of individual nerve roots that branch out from the spine in the lower back and come together to form the sciatic nerve. The pain that is associated with sciatica usually extends from the lower back through the back of the thigh and down the leg. It often occurs on one side of the body. It can also be debilitating to some. 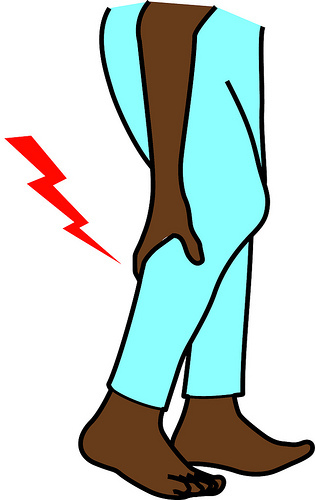 The symptoms of sciatica also vary according to where the nerve is pinched. For example, an impingement in the lumbar segment 5 (L5) can cause weakness in extending the big toe and in some cases, the ankle. Sciatica is also a common condition in pregnant women and usually appears during the third trimester of pregnancy. It is caused when a woman’s expanding uterus ends up putting pressure on the sciatic nerve on the lower spine. The same occurrence is also known to cause lower back pain during pregnancy. The reason the condition occurs during the third trimester is due to the fact that the growing baby shifts into the proper birthing position during this time. This makes the developing fetus rest directly on the nerve which causes the mother major pain in the buttocks. The pain also radiates to the back and legs. The pain can be constant or intermittent depending on how many times the baby changes position. However, the lower back pain may also persist after birth. Fortunately there are ways through which a person might be able to rid herself of the pain. Some women say that a cold or hot compress to the affected area can help lessen the pain. Just make sure that the heating pad isn’t too uncomfortably hot. Getting off your feet and walking around can also help get rid of the pain. There are also patients who have sought out chiropractic services instead of opting for spinal surgery for cases such as these. It is easy to see why. Chiropractic care is non invasive and relies on the body’s natural ability to heal itself.